As what feels like the last major PC brand to dip their toes into the gaming space, Lenovo have a lot to prove when it comes to justifying its Legion sub-brand. Even if the company’s gaming laptops have already made a start here, it’s clear that the accessories market will also play a key role. 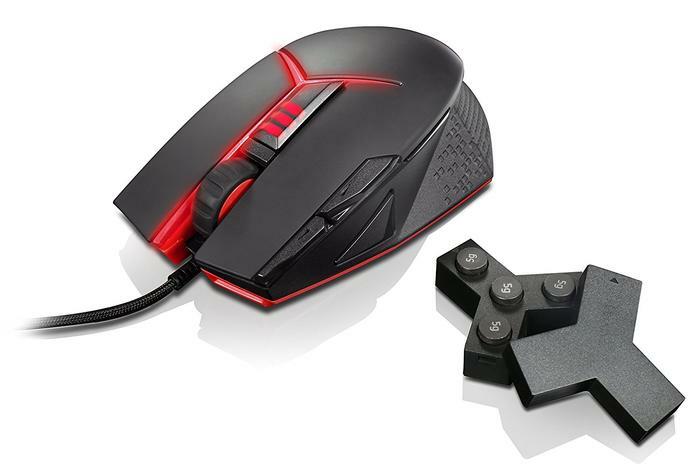 To that end, the company are bringing both the Lenovo Y Gaming Precision Mouse and Y Gaming Mechanical Keyboard to join the already-hectic fray of brands competing for the accessory budgets of mainstream gamers. Though far from eSports-ready, the two products represent a fine extension of the core ethos behind Legion: you don’t have to be the best to be great. 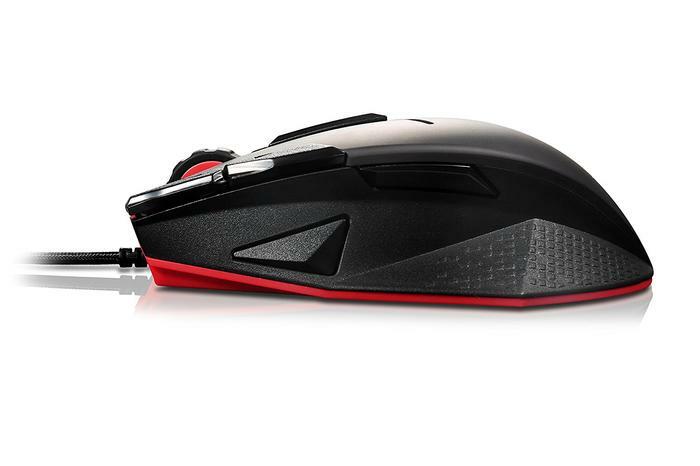 The Lenovo Y Gaming Precision mouse is a wired mouse with a 8200 dpi sensor, 9 programmable buttons, up to 1000 Hz polling capability, and four removable weight cartridges. 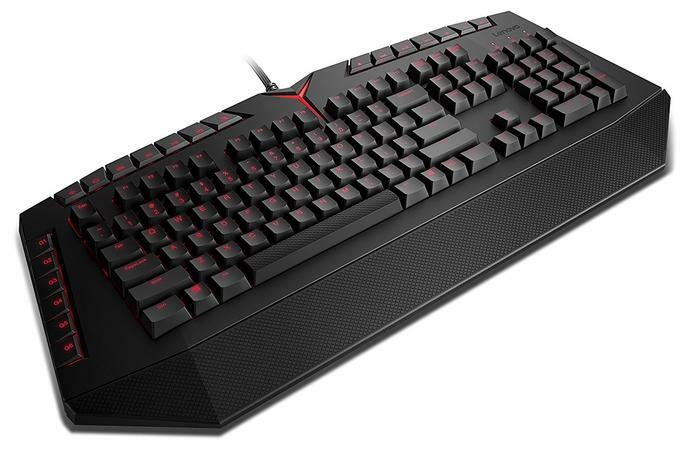 The Lenovo Y Gaming Mechanical Keyboard is a keyboard with Kailh red mechanical key-switches, anti-ghosting, multimedia buttons, a detachable palm rest, 6 additional programmable keys and adjustable red backlighting. On paper, the Lenovo Y Gaming Precision Mouse doesn’t have every bell and whistle out there - but it ticks enough of the major ones to sit in clean competition with the offerings of mice giants like Logitech and Razer. However, in practice the supposedly-ergonomic design and textured grip just don’t come together in the way you’d hope. The build-quality is the biggest culprit here - this mouse just feels really cheap to hold and uninspiring to use. This ‘cheapness’ is pretty prevalent throughout the entire Legion range - but it feels particularly bad here. Rather than act as an aggressive beachhead into the gaming mice arena, the product design of Y Gaming Precision Mouse shows just how far behind the curve Lenovo are. 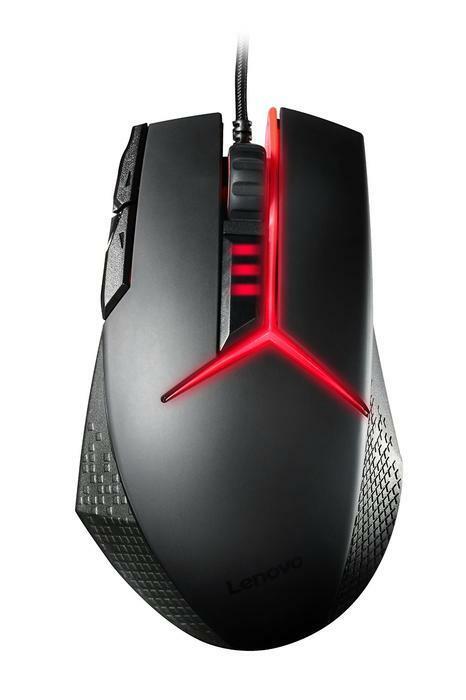 In comparison to gaming mice like Razer’s DeathAdder range or BenQ’s ZOWIE eSports mice (both of which glide across your desk with granulated grace), Lenovo’s first effort at a gaming mice looks like a gaming mouse but feels like a business mouse with a bunch of extra buttons stacked on top. 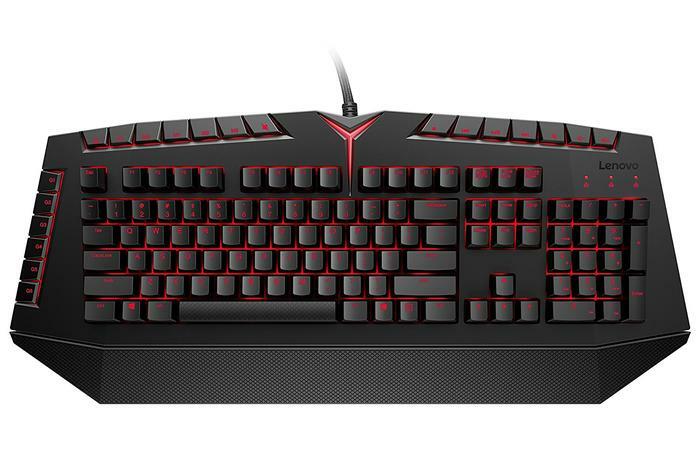 If the Y Gaming Precision Mouse sticks to the essentials as far as features go then the Lenovo Y Gaming Mechanical Keyboard goes wild for them. Programmable set of macro keys: check. Proper mechanical switches? Yep. Multimedia keys? Got them. USB and audio? Done. Adjustable backlight? Here as well, though unfortunately limited to Lenovo’s particular shade of crimson with only the brightness able to be toggled. While this many inclusions by Lenovo does see the brand hedge their bets - you’ll probably find at least one feature to dig about this keyboard - it does also lend the keyboard’s design a degree of clutter that isn’t always so appealing. There’s a lack of focus to this “something for everyone approach” and your mileage may vary accordingly. If you’re looking for a more minimalist mechanical, this probably won’t suit. Overall, it’s clear that Lenovo got a long way to go here before they can compete with the heavyweights of the gaming accessory space - even if, on paper, the feature sets and price points that both the Y Gaming Precision mouse and Y Gaming Mechanical Keyboard hit are pretty admittedly attractive. While the feel-factor of the Y Gaming Precision mouse doesn’t hold up on under pressure, the mouse absolutely has the goods when it comes to the technical side of things. It’s not a delight to use for gaming in the way that maybe a Razer DeathAdder is - but it gets the job done. Gaming with this thing is, generally-speaking, a smooth and enjoyable experience. The problem is that it’s not quite good enough in comparison to everything out there. If you want something with better ergonomics at this price-point? It’s not hard to find it. Same goes for those who want to do more with the RBG side of things, which is pretty limited on Lenovo’s offering. Need something with a bigger sensor or more programmable buttons? Even easier to find. The Lenovo Y Precision Mouse is a jack of all trades but it's also a master of none. Similar descriptions can be lobbied at the Y Gaming Mechanical Keyboard. Kailh key switches get the job done. On a physical level, they’re a match for the Cherry MX Red keyswitches you’ll find in a lot of other eSports-grade offerings. Typing experiences were reasonably responsive and, often, a little quieter than I expected. Unfortunately, the positioning of the extra function keys mean that I just wasn’t finding much of a need to use them very often - which hints at the larger problem. This side of the $100 mark, there’s not a whole lot that in the gaming mouse space that can really compete with the Lenovo Y Gaming Precision Mouse for raw, box-ticking features. If you’re after a mouse that’s got a bit of everything and and don’t necessarily need a mouse that pushes those features to their limit - this might just be the thing. Likewise, the Y Gaming Mechanical Keyboard manages to be a perfectly serviceable mechanical gaming solution - provided you don’t mind that scattershot featureset and iffy form and feel-factor. However, that said, neither product really manages to make a particularly strong case for itself. With an initial offering of accessories like this, you’d hope that Lenovo could make a stronger case for itself in the gaming space. An argument that articulates who these products are for and why you should choose them over the competition. As it stands, they fails to say anything and be anything but the reasonably-good Lenovo-branded set of accessories they initially appear to be.